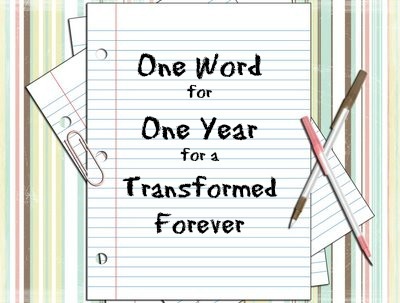 Yesterday, I shared about discovering a theme verse for the new year. At the same time, God also gave me a “word” for the year. In the past, people have given me “words” that they sensed were from the Holy Spirit. These words were given to encourage me and to keep my spiritual antennas up when I sensed God was doing something in this area of my life. But, like the theme verse, God decided to give it to me directly this year. The word, or should I say “words” (because there are two of them), that I sensed in my soul were: “quiet confidence.” God is calling me to live in quiet confidence this year. Over the past year, God has been “dismantling” me from old habits, old tendencies, old sympathies, and old ambitions. For those of you who know me, one of these old ambitions is to write a book on Whole Life Worship. It has been a 20 year project and while I actually have a book (it’s written, but it hasn’t been published yet), I’m not really happy with it. I actually submitted it to a publisher and though they liked it, they said it was too short and that I needed to double the size of the book for them to consider it for publication. That’s why I started writing this blog; to get my writing “juices” going and help me to double the content of my book. But hidden underneath all of this was a desire to become influential, well-respected, and well-known. It’s kind of embarrassing to admit this to you, but I don’t think it is uncommon. In some ways, I think that most people struggle with their significance and they want to be “known” and validated. And that’s why I need to be transformed into a “quiet confidence.” I’ve pursued the “loud” variety of confidence all my life, and it’s just not worth it. It’s not even real. Most loudly confident people are so because they are trying to hide something – usually a gnawing sense of inadequacy which leads to an insecurity of the soul. So God wants me to pursue a “quiet confidence,” a confidence based on God’s love for me and trusting in whatever He has in store for my life. It’s a confidence that doesn’t need to boast or self promote or get noticed. It doesn’t need an “book” authorship or an award winning blog to be validated. At the same time, I don’t cower in expressing myself and in living out the mission God has called me. There is a confidence in how I live out my life because I seek to live it out in worship of God. You really can’t lose with Whole Life Worship – it’s to God, for God, and with God. So writing this blog is no longer a means to lengthen my book. It’s a chronicle of my journey with Jesus. It’s about the thoughts and feelings God brings to me about a matter that I am passionate about. I may end up writing a book that I am proud of, but it won’t be for the purpose of “proving myself.” It will just be a way to express myself and comes as a result of living under God’s leadership. It may take way longer than a year, but the new “word” gives me another way of focusing my life on Christ. Is there a desire or dream or challenge that God is calling you to undertake in 2014? I always appreciate your thoughts and your honesty and I’m always encouraged by your writings. My word for this year is gratitude. I’m wanting to transform my everyday life, regardless of my circumstances of the moment, into being thankful, being grateful. I want to have a constant attitude of gratitude. Janice, I’m grateful to have known you this past year! May the Lord empower you as you choose to be thankful to Him in every circumstance. I saw the work “kindness” yesterday on a kitchen board at a friends house … Underneath it said 365. That spoke to me after reading your blog. So my words/numbers are “loving kindness 24/7 365”. Randy, I’ve seen your kindness many times over the years. It is one of the most powerful things God has given you to do. I am grateful that God will unleash His kindness through you to bless many this year!